Just over a year ago today, I received my employment offer from Liquid Web. It was an exciting development, but also very nerve-wracking for me. This result was the culmination of a turn of events that would mean moving away from my friends and family in warm Southern California to cold Lansing, Michigan … but it was a move I was ready to make. In California, I was working as a web developer with a variety of projects that were hosted by a number of different web hosting companies. Among them was Liquid Web, with whom I hosted a handful of both managed and unmanaged accounts on Storm Servers for clients, as well as my personal projects. In comparison to hosting experiences I’d already had with some of the most well-known and respected companies in web hosting, I couldn’t help but be impressed with the service. The sales and support technicians I worked with always went above and beyond the call of duty in their efforts. This positive experience stuck with me when I decided to branch out and begin full-time work. At this point, I applied to a number of hosting companies and was accepted by most of them. In addition to those opportunities, I was also receiving interest from a number of promising startups. I reviewed all of the positions I had been offered, considering not only the salary they were offering, but putting equal emphasis on the people, the work environment, location, cost of living, as well as what the company did outside of the office such as events and charities. It eventually came down to two different companies, Liquid Web and a company that was located near where I was already living in California. While the convenience of remaining in California made it a difficult choice, my overwhelmingly positive experience with Liquid Web led me to Michigan. While moving across the country, on my own and away from my friends and family, was difficult, I am glad I did it. I come to work every day excited to do my job and work with great people who truly care about each other. I have been able to improve my programming skills as well as expanding my technical knowledge while working here. In addition to that, I seem to learn something new every day. 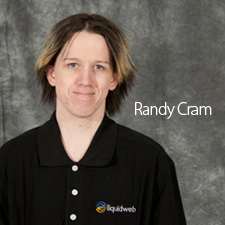 Along with improving upon my talents, I have grown as a person with the help of Liquid Web and my amazing coworkers. I was recently offered a position on the Quality Assurance team that I was excited to accept. Having been interested, initially, in the development end of the company, when I applied, only sales and technical support positions were open. While I met many great people and enjoyed my time in Sales, it was very encouraging to make a positive advancement in the career direction which I am most interested in even before completing my first year here. This is just one of the many reasons that I know I made the right choice as I celebrate my first anniversary at Liquid Web. I look forward to many more years just as great as this first one!